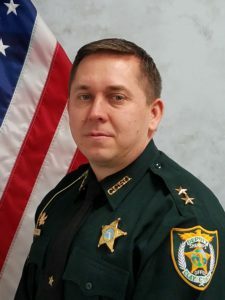 Director Ricky Wright leads the Services Department of the Clay County Sheriff’s Office (CCSO) which is made up of the Support Services Division and Logistic/General Support Division. The abil­ity of any deputy to answer calls for service and provide professional police protection to citizens around the clock often depends on the actions of the dedicated members of this department. Chief Wayne McKinney heads up the Support Services Division. This division includes: Information Services, Communications, Civil Section and Uniform Crime Reporting Unit. The Information Services Section is responsible for managing all agency computer systems, networks and telephones. The Communications Section answers and directs all calls received by the Clay County Sheriff’s Office. The Civil Section serves and processes evictions, civil papers and more. The Uniform Crime Reporting Unit ensures the sheriff’s office is in compliance with the FBI reporting standards for crime data. 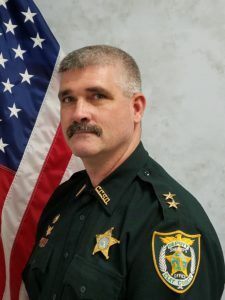 Chief Ken Stivers leads a staff that is responsible for maintaining 500 vehicles and maintaining the sheriff’s office headquarters building in Green Cove Springs as well as the Orange Park, Middleburg and Keystone Heights Operations Centers, facilities housing about 540 employees. He supervises Fleet Maintenance, Building Maintenance, Evidence, Records and Secondary Employment – all vital roles.